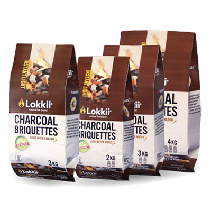 Lokkii® Barbecue Briques are composed of a unique blend of recycled charcoal, anthracite coal and organic materials. Lokkii® bbq briques are suitable for small tabletop or compact portable grills. 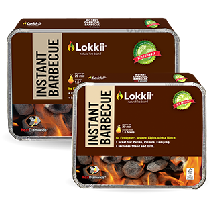 Lokkii® Barbecue Bricks light as fast as gas, with Lokkii® 100% Organic Light formula which does not transfer a chemical taste into the food you eat! Lokkii’s innovative compact design allows for easy carrying and storage. Each Brique is individually wrapped and therefore is cleaner to handle. 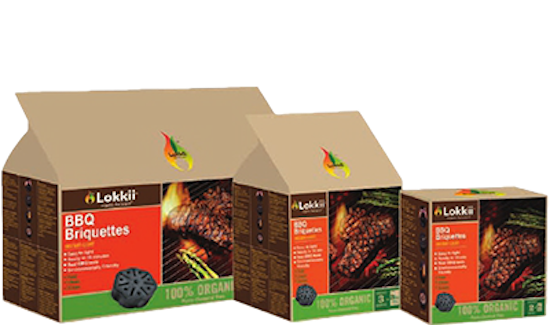 For healthier grilling with a great BBQ flavor choose Lokkii’s Barbecue Briques for family picnics, camping, tailgating or just entertaining at home! Q1. 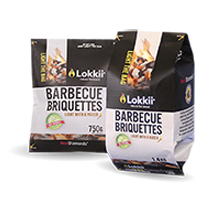 What makes Lokkii® Barbecue Briques natural? The briques are composed of a patent pending plant-derived lighting formula that does not contain any harmful chemicals. They do not contain any petro-chemicals or nitrates, unlike most of the traditional charcoals on the market. 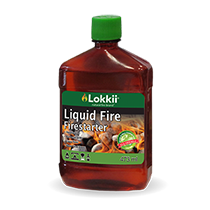 Lokkii® Barbecue Briques light from 100% natural based materials and release fewer toxins, which are harmful to the environment. 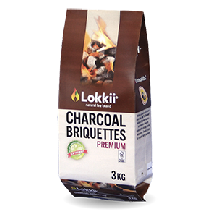 Q2.How do I light Lokkii® Barbecue Briques? Lokkii® Barbecue Briques are clearly marked with a sticker that says ‘light this side’. Open the vacuum-sealed pack and place a match on the center vent ‘O’ for a few seconds. The brque will light naturally and the flame will move across the top surface for around 30 seconds. Q3. How many Lokkii® Barbecue Briques should I use? This depends on the grill size, cut of meat, air temperature and weather conditions. Typically 2-3 Lokkii® briques will be sufficient for an small to medium grill. Q4. 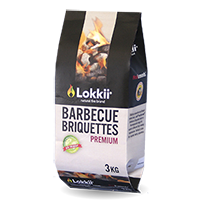 How long do I have to wait until Lokkii® Barbecue Briques are hot enough to begin cooking? 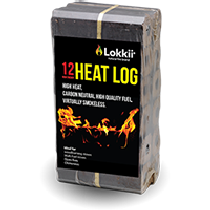 Lokkii® Barbecue Briques reach optimum cooking temperature in about 12-15 minutes, depending on the climate. If you are cooking in a very cold climate, it may take a few more minutes, but in a hot climate you may be ready to cook in less time. The brique will have a red glow to them when they are hot enough to begin cooking. Q6. 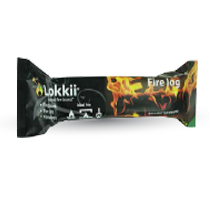 How hot Lokkii® Barbecue Briques burn? 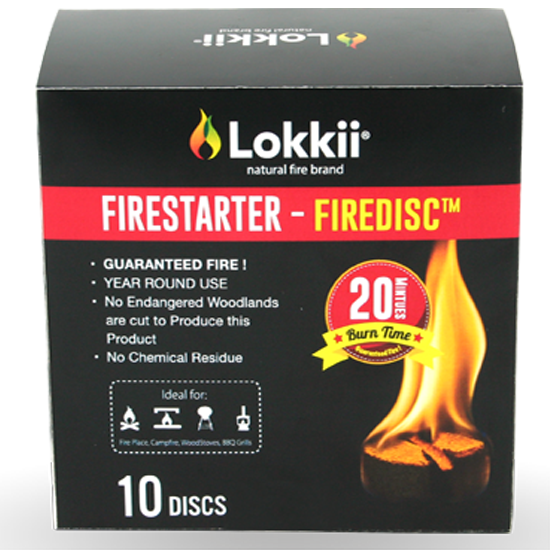 Each Lokkii® Barbecue Brique burn at approximately 350F+ (11,500+ BTU’s), which is equivalent to a regular gas burner on a gas grill. The high temperature sears the meat, seals in the juices and grills the food to perfection. Q7. What should I do with the leftover ash after the brique is completely burnt? Q8. What is the shelf life of the Lokkii® Barbecue Briques? 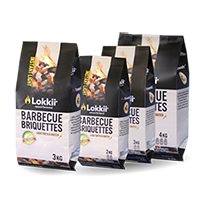 Lokkii® Barbecue Briques are individually vacuum-sealed ensuring a long shelf life. Once the vacuum pack is opened the bricks should be used immediately. Store the bricks in a cool dry place away from direct sunlight.